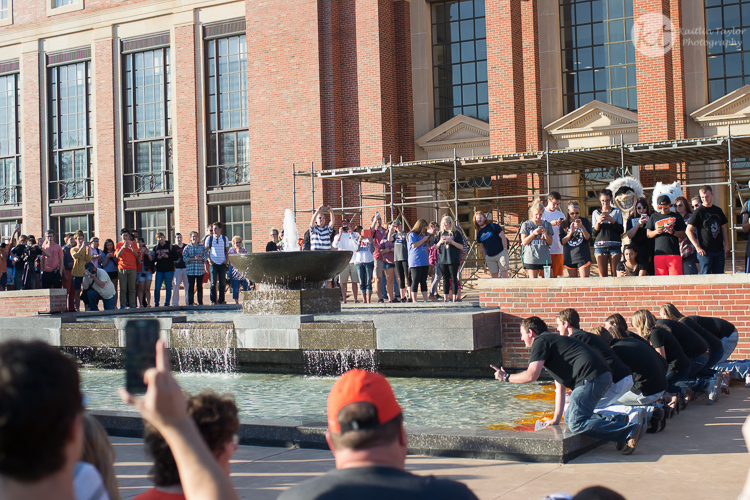 Oklahoma State boasts the largest homecoming celebration in the country, with a week-long schedule of events. Living by the phrase, “Orange Power,” the campus transforms for a week. One way this starts off is by dying the fountain in front of the library orange. Go Pokes! P.S. – Day 39 will be posted soon!